A Child,s Romany caravan/trailer for complete restoration. We found it a few years ago with the intention of restoring it but never got round to it. We are dating it around 1890,which is what we were told when we bought it. The iron chassis is complete. the rest of it needs complete restoration. 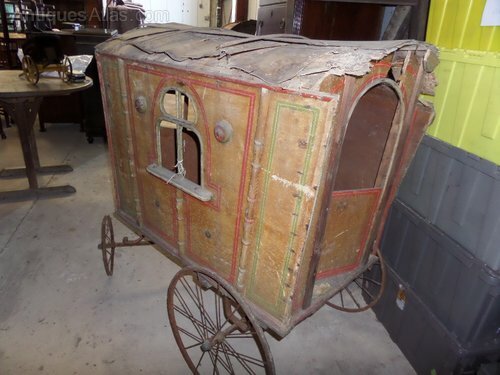 In it,s original romany paint A great restoration project,must be seen.